According to the Hebrew Holy book of Kings, Book of chronicles and Holy Quran, the great King Solomon also known as Sulayman, Siliman and Jedidiah, was the son of the famous King David of Israelites, who reigned in the land of Canaan with Jerusalem as its capital as the third king of the Israelites from 970 to 931BC. 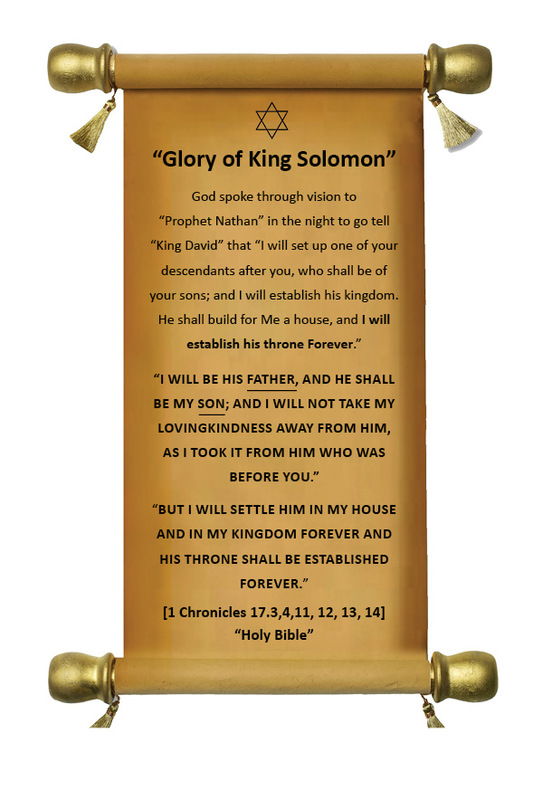 According to the Hebrew Talmud the great King Solomon is also one of the 48 Hebrew prophets, but in the holy Quran, he is considered as a Major Prophet of God, and known as the great King Sulayman son of King Daowd [David]. He was a great soul, who came to this material world to define the true justice to Mankind through the attribute of divine wisdom. 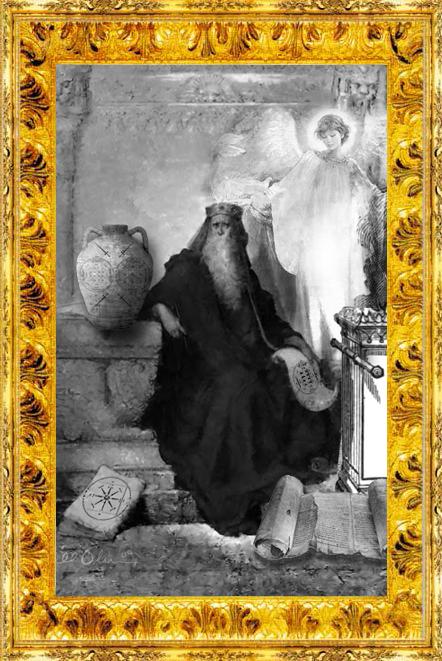 The Hebrew Bible refers to King Solomon as the builder of the First Israelite Temple dedicated to the “Most High” in Jerusalem, who was full of great wisdom, wealth, and power, and who had gained much control upon the entities and beings of the supernatural world with the great secret knowledge provided by the angel of the “Most High”. The Great King Solomon became famous upon this planet earth for his great contribution to the understanding of divine magic, and as the absolute controller of the most notable 72 demonic hierarchical groups collectively known as Jinns or Genies, each of those groups operating in its full power by taking control upon this earth in a rotational basis every one earth year in an energy cycle of 72 years, as during these 72 years the Solar Sun appeared to be moving one degree in the celestial heavens from one zodiacal constellation to another due to the precession of Equinox. These one year cycles also intertwined with the Tetra or quadrant cycle of 18 year earth period [18 x 4 = 72] of which each nine years period was first composed of negative or receiving cosmic energies required for accumulation, commonly termed as the materialization activity, and then the other nine years were of positive or giving away of cosmic energies also termed as the consuming activity. 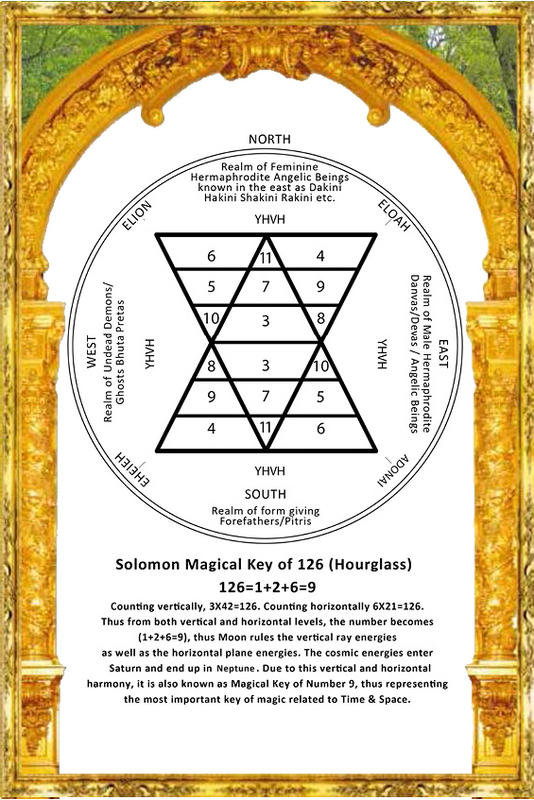 King Solomon was the first person ordained by almighty God with divine esoteric wisdom, which enabled him to understand the deep secrets of this Tetra energy relationship of the vital conscious energies, which are geometrically depicted throughout the cosmic ethereal space from the macro to micro levels, forming an enclosed 90 degree angular vital energy channels, which thus creates a geometrical form of a vital conscious energy square, thus embodying the vital conscious essences, having four differentiated spherical existences starting from its 1st state of spirit conscious energy to its first densification as cosmic gaseous matter, then cosmic liquid matter, and then cosmic solid matter all resonating and vibrating in their own different frequencies from the very highest to the very lowest and thus existing with or without a visible form in this formed energy square of vital ethereal consciousness. These Tetra Energy relationships which exist throughout the spherical parameters of the Infinite Universe from its Macro to Micro levels of ethereal manifestations [pure spirit to its dense forms], are the basis of all Magical squares, which are applied in the various types of Magical applications for the conscious expansion of evolving mind. During his incarnated human life King Solomon also experimented with various supernatural phenomena’s due to his supernatural abilities, and made extensive notes of them, all of which now exist in the Great Hall of the Secret Wisdom in energy frequencies known as the “Secret Astral light” whose whereabouts are not known to many, until and unless they are deemed fit for such revelations in the conscious energy eyes of the “Most High”. 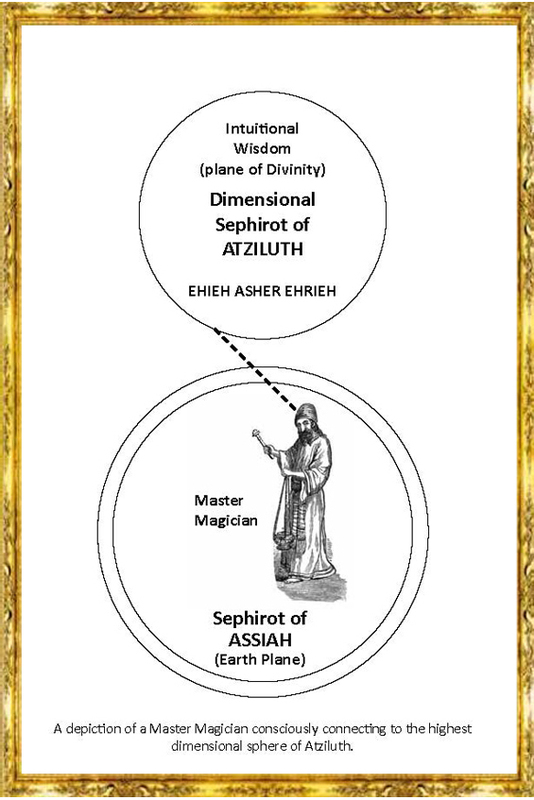 These Supernatural powers were bestowed upon him by the angel of “Most High” [YHVH], and some of his small works although in corrupted form, later became available to the evolving humanity, which were named as the “Testament of Solomon”, which made him popular as the great Magician and the great Exorcist favorable in the eyes of God, and as such numerous Medallion Seals, Amulets, Magical Squares Etc. were referred to him by the later magicians, who created them invoking his name as the protective Talisman against demons and the rebellious spirits. 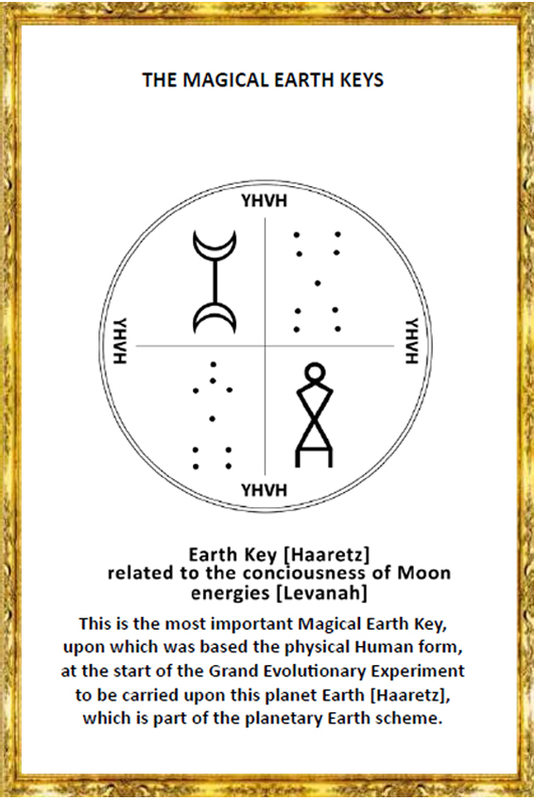 Based upon these intricate findings with the divine grace of the “Most High”, King Solomon devised the well-known Table now known to all as the “Table of Planetary Hours”, which is related to the Working of the planetary Spirits in our this beautiful planet Earth [Haaretz], which is centrally located in our solar universe, a Hidden Fact which is unknown to all materially inclined scientists, as most of the 343 planets of our solar universe exist in the invisible frequency dimensions, and which thus are unseen to the material form eyes, and which can only be seen or perceived by the inner or the “Spiritual Eyes”, which having rarefied inner sight or the light consciousness can only then understand these deep secrets of our Solar Universe. The Great King Solomon with the divine grace of the “Most High” acquired the highest wisdom to deeply understand the intricate energy relationships, which exist between these 7 main working planetary spirits groups of our Solar Universe, which are currently active in our planet earth’s Involution and evolution. 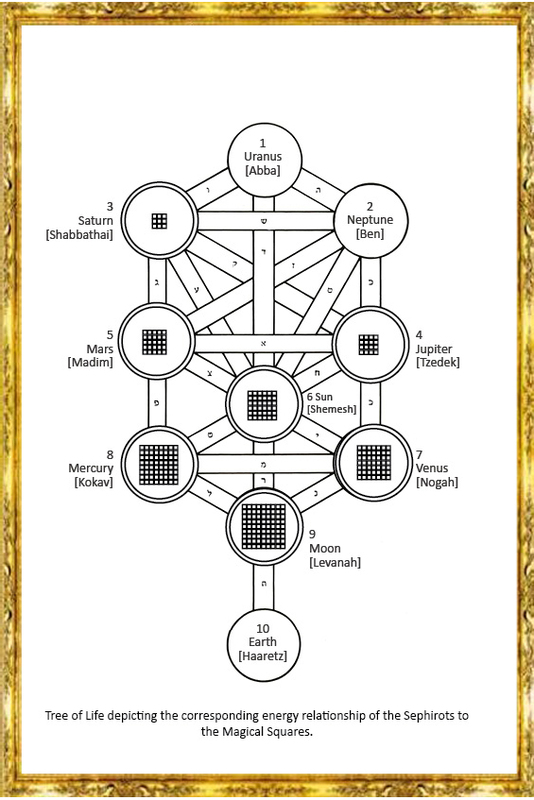 In one of the planetary relationship charts, which has been lost to all until now, and is only available in its astral light energy form in the Most Secret and Hidden library of the ineffable grace of the “Most High” commonly known as “The Great Magical library of the Universe”, the great King Solomon explained the corresponding energy relationships of the planetary spirits, as they represent the manifested huge planetary schemes of our Solar Universe, which are existing as the “Solar Universe organs” acting as the vital conscious energy distribution systems of this current Solar Universe manifested in the dense ethereal segment of the celestial space of the Milky way Galaxy, and thus a very tiny part of the spherical Infinite Universe. 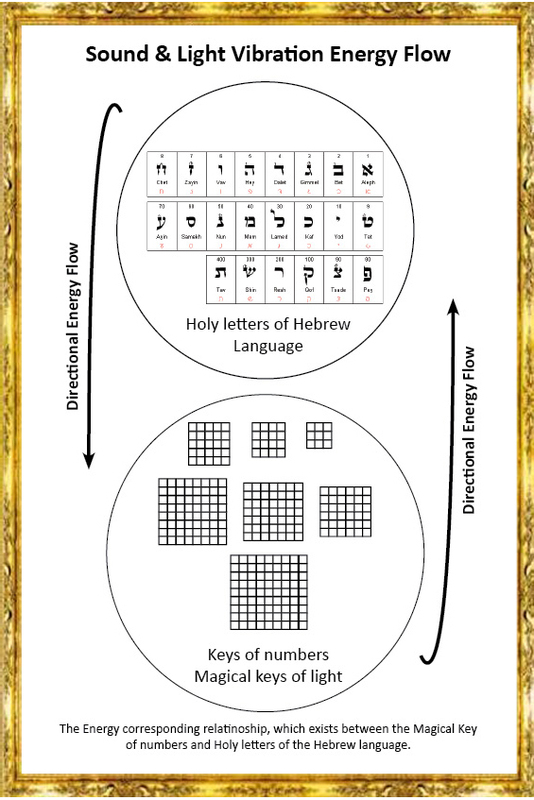 These intricate energy relationships as defined by King Solomon exist between two Great Conscious Entities of our Solar Universe who are represented by their corresponding planetary spirits upon this evolving planet Earth. These planetary relationships he codified in the forms of magical squares, which represented the consciousness of their respective planetary entities, as well as their tiny conscious representatives known as the planetary spirits, who have been actively performing their evolutionary work in the solar universe since an uncountable long time. Most great magicians are unaware of this “Supreme Fact” that the first magical square representing the planet Neptune [Ben] Consciousness of our solar universe has only four Magical Squares, which represent the mathematical number 2, as the collective consciousness of Neptune [Ben] corresponds to the 2nd Sephirot [Sphere] of CHOKMAH manifested upon the “Tree of Life” of our solar Universe. Each of the most secret magical square of the Neptune, although very basic and simple having a two square grid has a mathematical number “1” in it, thus when counting vertically, horizontally and diagonally it becomes the mathematical number “2”. The wise King Solomon made a detailed note of the Magical energy relationship facts, which are hidden in the 4 magical squares of Neptune thus existing in 2 magical square grid, which become 5, when counting the outer Magical square also, which encompass the inner 4 magical squares, and thus concluded and explained in details after his experimentation that The Planetary Neptune spirits whose mathematical number is “2” basically correspond to the planetary spirits of Jupiter [Tzedek], whose mathematical number is “4” as well to the planetary spirits of Mars [Madim], whose mathematical number is “5”. 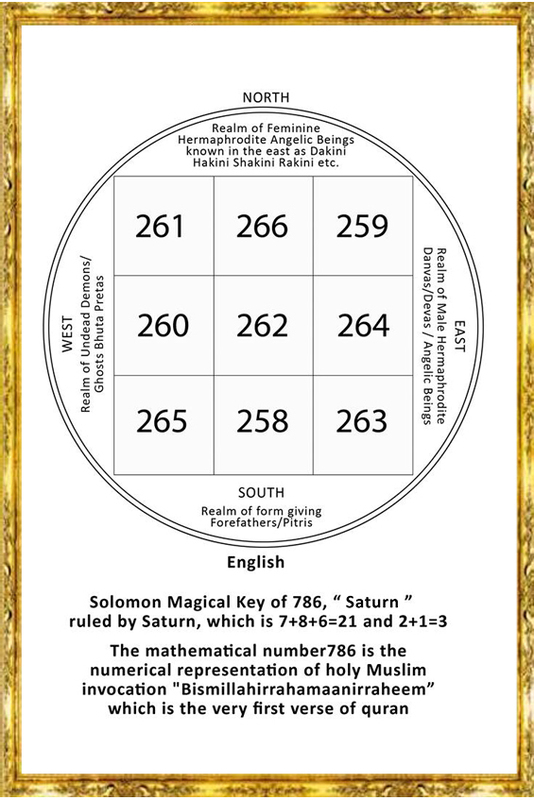 Similarly the Wise King Solomon based his upon his observations of the Magical Squares of other Planets thus noted that the Magical Square of Saturn [Shabbathai], whose vital conscious mathematical number is “3”, has a grid of 3 magical squares thus having a total of 3 x3 = 9 Magical Squares, which becomes 10 or 1+ 0 = 1, when counting the outer Magical square also, which encompasses the inner 9 magical squares. The wise king based upon his experiments and observations thus concluded that the planetary spirits of Saturn [Shabbathai] whose mathematical number is “3”, basically correspond to the planetary spirits of Earth [Haaretz] whose mathematical number is “10”, synthesizing planetary spirits of Uranus [Abba] whose mathematical number is “1”, and the planetary spirits of Moon [Levanah] whose mathematical number is “9”. The Wise King Solomon based his upon his observations of the Magical Squares of other Planets thus further noted that the Magical Square of Jupiter [Tzedek], whose vital conscious mathematical number is “4”, has a grid of 4 magical squares thus having a total of 4 x4 = 16 Magical Squares or the mathematical number “7” [1+6 = 7], which also becomes 17 or 1+ 7 = 8, when counting also the outer Magical square, which encompasses the inner 16 magical squares. The wise king based upon his experiments and observations thus concluded that the planetary spirits of Tzedek [Jupiter], whose mathematical number is “4”, basically correspond to the planetary spirits of Venus [Nogah], whose mathematical number is “7”, and the planetary spirits of Mercury [Kokav] whose mathematical number is “8”, in their working conscious energy relationships upon our planet earth [Haaretz]. The Wise King Solomon based his upon his further observations of the Magical Squares regarding other Planets, thus further noted that the Magical Square of Mars [Madim], whose vital conscious mathematical number is “5”, has a grid of 5 magical squares thus having a total of 5 x 5 = 25 Magical Squares or the mathematical number “7” [2+5 = 7], which also becomes 26 or 2+ 6 = 8, when counting also the outer Magical square, which encompasses the inner 25 magical squares. The wise king based upon his experiments and observations thus concluded that the planetary spirits of Mars [Madim], whose mathematical number is “5”, basically correspond to the planetary spirits of Venus [Nogah], whose mathematical number is “7”, and the planetary spirits of Mercury [Kokav], whose mathematical number is “8”, in their working conscious energy relationships upon our planet earth [Haaretz]. Based upon these Celestial library notes, the Wise King Solomon continued his further observations of the Magical Squares regarding other Planets, and thus further noted that the Magical Square of Sun [Shemesh], whose vital conscious mathematical number is “6”, has a grid of 6 magical squares thus having a total of 6 x 6 = 36 Magical Squares or the mathematical number “9” [3+6 = 9], which also becomes 37 or 3+ 7 = 10 or 1+ 0 = 1, when counting also the outer Magical square, which encompasses the inner 36 magical squares. The wise king based upon his experiments and observations thus concluded that the planetary spirits of Sun [Shemesh] whose mathematical number is “6”, basically correspond to the planetary spirits of Earth [Haaretz], whose mathematical number is “10”, synthesizing planetary spirits of Uranus [Abba], whose mathematical number is “1”, and the planetary spirits of Moon [Levanah], whose mathematical number is “9” in their working conscious energy relationships upon our planet earth [Haaretz]. Thus continuing his further observations, the wise King Solomon further noted in these celestial records about the Magical Squares of other Planets, stating that the Magical Square of Mercury [Kokav], whose vital conscious mathematical number is “8”, has a grid of 8 magical squares thus having a total of 8 x 8 = 64 Magical Squares or the mathematical number “10” [6+4 = 10], or 1 + 0 = “1”, which also becomes 65 or 6+ 5 = 11, or 1+ 1 = 2, when counting also the outer Magical square, which encompasses the inner 65 magical squares. The wise king based upon his experiments and observations thus concluded that the planetary spirits of Mercury [Kokav] whose mathematical number is “8”, basically correspond to the planetary spirits of Earth [Haaretz] whose mathematical number is “10”, the planetary spirits of Uranus [Abba] whose mathematical number is “1”, and with the planetary spirits of Neptune, whose mathematical number is ‘2”, in their working conscious energy relationships upon our planet earth [Haaretz]. Since ancient times no one has surpassed the White light Magical wisdom of the great King Solomon, but the demons after his passing away taking their full revenge, added the black magical practices of blood and other negative information pertaining to Black Magic false fully in his name upon this Earth through corrupted and Willfully altered magical notes, adding such practices of witchcraft which belonged to much later Black Magic of Greek and Roman Times. [Preacher King Solomon – Ecclesiastes 2.13 – Holy Bible]. 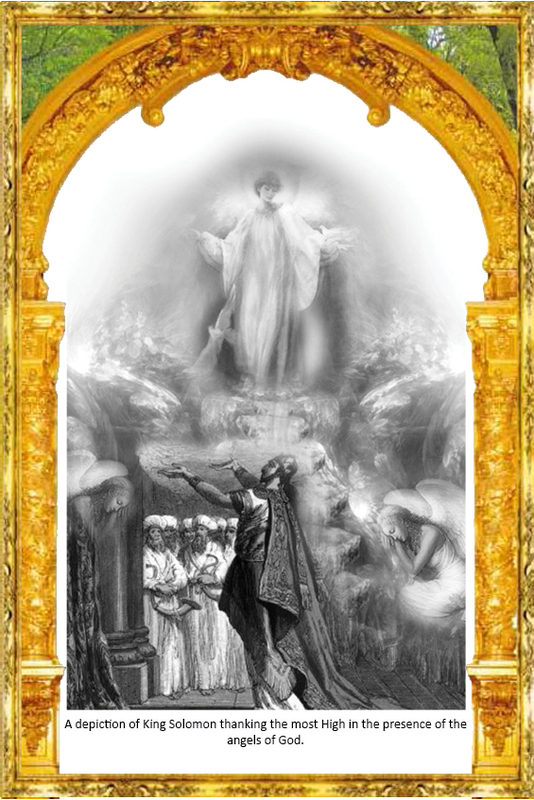 The Great King Solomon with the ineffable grace or the ‘’’desire mind vital consciousness force of the ‘’Most High’’, which was provided to him by the angelic servants of the ‘’Most High’’ was very much aware of certain Universal facts, which were even unknown to the most elevated Levite priests of his time period. 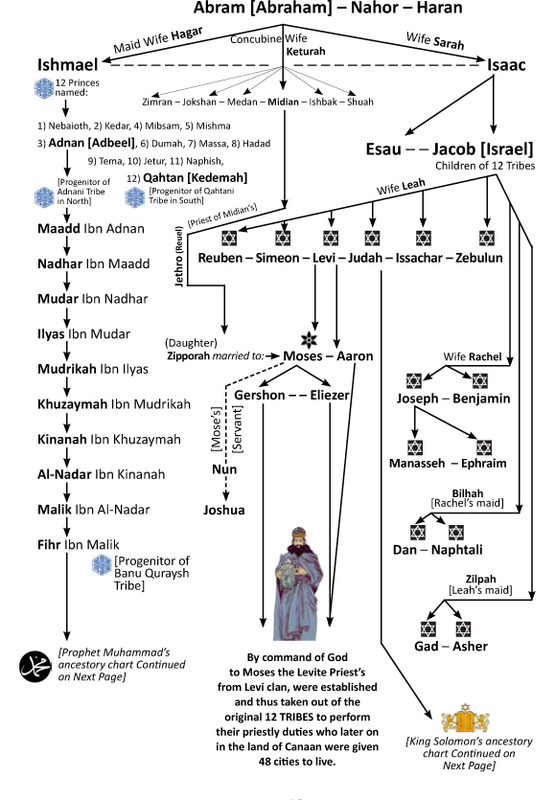 The Prophet Nathan made extensive records in a book form which were related to the ‘’Acts of Wise King Solomon’’, the son of King David, who was chosen by the great “Lord- God”, as “his own son”, [1 Chronicles 17.13] to rule the 12 Israelite tribes, and all other kings extending from the Euphrates river, to the land of philistines, and his kingdom stretched all the way to the border of Egypt, the land of mighty Pharaoh’s. 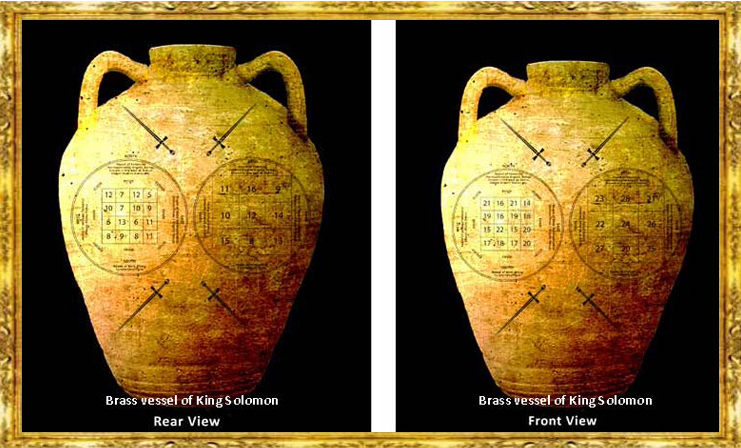 After passing away of the great King Solomon from this material world, these ancient records related to his great acts were willfully destroyed by the “Demonic Forces”, as King Solomon, being an upholder of the universal law of ‘’Will to Do Good’’, during his reign in the land of Canaan, the 72 hierarchies of demons were forcefully bound in the name of ‘’Most High’’ and were thus kept imprisoned in a “Brass Vessel” under strict guard by the great King Solomon during his golden rule. Not only they destroyed his records from the holy book, but they also impulsed the demonic forces of the Egyptian pharaoh, the so called god kings who were mostly involved in black magic, to attack the great cities built by king Solomon and completely destroy them so that they can take their revenge, and in this way they in vainly tried their level best to wipe out his name from the recorded history of this world. In between these 2 basic shapes of the Infinite Universe [Point and a Sphere], the expanding vital consciousness by the desire mind heat provided by the grace of the ‘’Most High’’, then through their energy interactions developed 5 more Geometrical shapes, to contain various live elemental essences in these 5 shapes of their differentiated matter. These 5 shapes were later known as the platonic solids named after famous philosopher Plato. These five platonic shapes are known as  Tetrahedron,  Cube,  Octahedron,  Dodecahedron and  Icosahedron, which are related to the 5 differentiated cosmic planes as well as solar Universe planes of conscious existence. The wise king Solomon related these five geometrical shapes to the 5 planetary spirit consciousness. Tetrahedron with the Saturn [Shabatthai] consciousness, Cube with the Jupiter [Tzedek] consciousness, Octahedron with the Mercury [Kokav] consciousness, Dodecahedron with the Mars [Madim] consciousness, and Icosahedron with the Venus [Nogah] Consciousness, and the originating ‘’Point’’ with the Sun [Shemesh] consciousness and the expanded ‘’Sphere’’ with the Moon [Levanah] consciousness. So along with the basic ‘’Point and Sphere’’ these 7 geometrical shapes existed in a group of ‘’Seven Solar Universe Organs’’ representing the expanding consciousness of 7 planetary groups, which effected the planetary evolution of various entities and beings, who are evolving upon this planet earth. Each of these energy shapes were composed of differentiated live elemental essences, and the various line edges of these geometrical shapes defined the energy channels through which the vital ethereal consciousness moved about thus keeping the sub atomic live elemental essences secured in their geometrical energy shape parameters to consciously or unconsciously exist in their differentiated planes of existence. The Great King also very well understood this secret universal fact that with the application of color and sound frequencies as the ‘’Key notes and differentiated tones’’, one could alter the state of consciousness, especially during those conscious energy rituals during which the magical squares with mathematical numbers were employed. A magical square technically represents the conscious creative energies of the geometrical shape of a cube, which corresponds to the 3rd solar plane, which is the plane of creative activities. A geometrical cube has six faces, a number which corresponds to the hierarchical number ’6’ of the Sun’s [Shemesh] solar consciousness in our Solar Universe. As the Solar Sun [Shemesh] exists manifested as a pistil of a huge Lotus shaped energy flower, which represents our entire solar universe manifested in the confinements of dense cosmic vital/physical plane, upon whose lotus shaped energy petals the planets of solar universe exist moving and rotating but still invisibly attached to this huge lotus flower shape in the cosmic physical plane. The principle objective of the centrally located Sun [Shemesh] is to act as the ‘’heart and mind’’ energy distribution organ center in the confinements of our Solar Universe. A geometrical ‘’Cube’’ shape has 6 faces, 8 corners and 12 boundary lines, which when combined together mathematically becomes 6+8+12 = 26. The mathematical number 26 represents the gematria of the most holy “Tetragrammaton” name, which is happens to be the Sacred Hebrew word ‘’YHVH’’ [10+5+6+5], defining the name of “Unknowable Most High”, the “Lord God of Israel”. 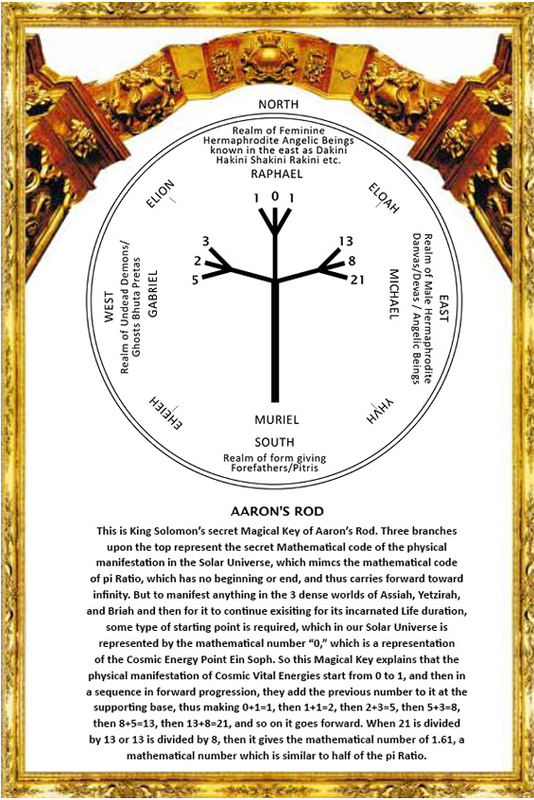 Based upon his findings, the great king Solomon gave most importance to the etched magical squares, which defined the mathematics and geometries of the Infinite universe as well as made these invisible entities and beings of the differentiated ethereal planes to continuously hear their occult meanings and desired values. The Great King also came to know about the most ancient book of higher wisdom which according to the desired mind wishes of the ‘’Most High’’ was brought to this planet earth in the most ancient past by the caretakers of evolution from the planet Venus [Kokav] to uphold the universal law of ‘’will to do good’. This most important book of universal wisdom known as the ‘’Book of Life’’ contained in it the universal geometries which were depicted as the  ‘’Circle by itself,  a Circle with a Point in its center,  a circle with a line dissecting it in 2 parts ,  a circle with a cross dissecting it in 4 parts,  a cross without a circle,  a flaming cross with flames emitting from its 4 end corners,  and a cross in a counterclockwise motion with the flames falling backward giving the false idea to appear as its extending arms. 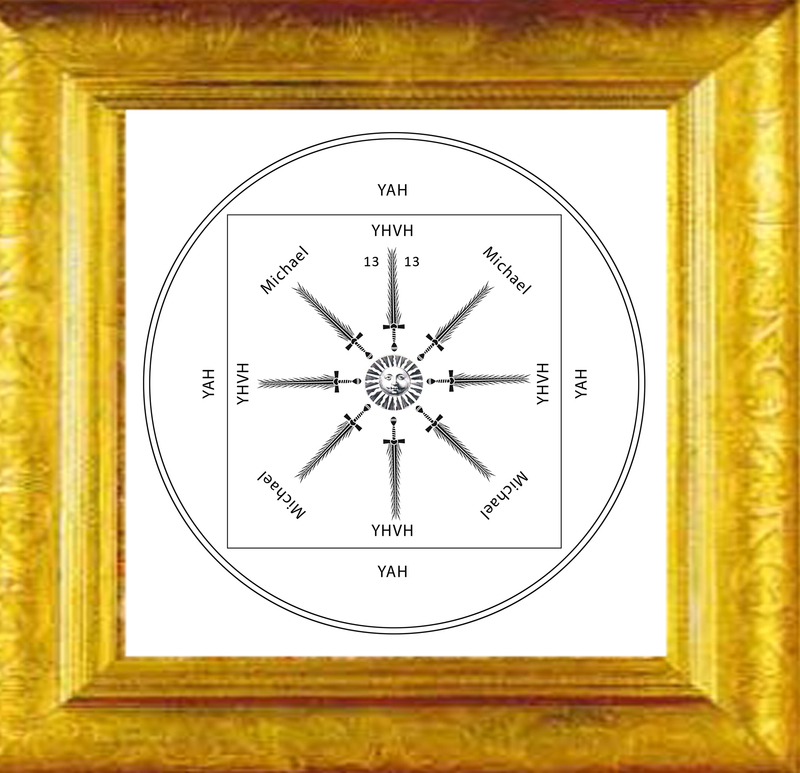 These 7 geometries of this most ancient ‘’book of life’’ corresponded to the seven days of creation, which held the ultimate secret of creation as the subjective and objective manifestation of the Infinite Universe, in which all hierarchical orders of differentiated consciousness, simultaneously exist upon their own frequency levels of Involution or evolution. 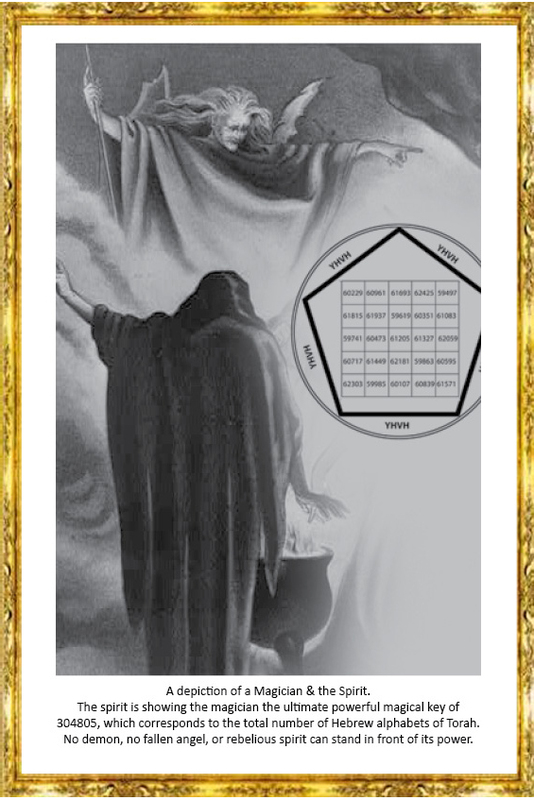 The great Wise King Solomon also found out with his occult science experiments that out of all ‘’Magus Talisman’’, which were used for various types of healings and protections against the ill willed attacks of the disembodied spirits commonly termed as the ‘’Demons’’, the magical square keys were the most potent to ward off all evil and thus negate and neutralize their ill effects. These magical square keys when used as amulets also permanently destroyed the negative thought forms commonly known as the dreadful invisible elemental creature’s, which embodied the ill willed energy consciousness having deranged and wrongfully mutated consciousness, which illegally existed contrary to the established evolutionary plan and purpose of the creator logos, in total defiance of the universal law of ‘’Will to Do Good’’. so that it cannot be abused. 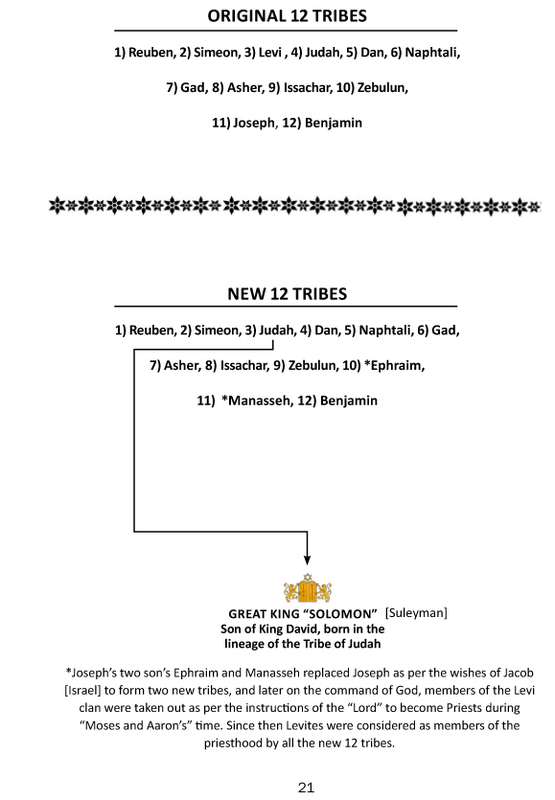 “Jesus Christ” commonly known as the “Son of God”, just like before him was also known his great ancestor, who was none other than the great “King Solomon”, “son of King David”, who was also addressed by the “Most High,” as his “Son” to the “Prophet Nathan” [1 Chronicles 17.13], and just like King Solomon, Jesus Christ was also addressed by many, as the “Son of David”. It is clearly written in many verses of the holy Bible, like this verse, which states, “And as Jesus passed on from there, two blind men followed Him, crying out, and saying “Have Mercy on us “Son of David”. 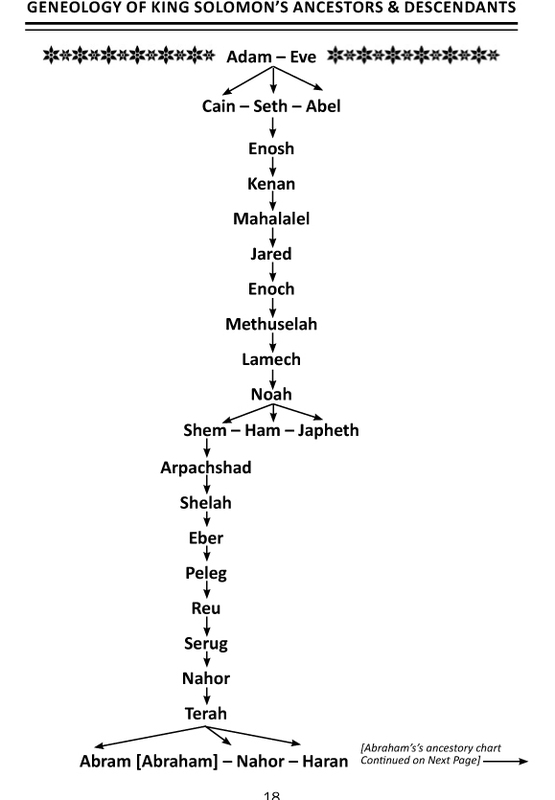 Unknown to many followers of “Most High” the Holy Bible clearly states for the first time that the Lord–God told Moses that Israel was His first born son, the name which was given earlier to the Patriarch Jacob as mentioned in this verse, which states, “Then you shall say to Pharaoh, Thus says the Lord, Israel is My son, My first born”. [Exodus chapter 4 verse 22]. Jesus Christ clearly stated in regard to the Universal Law of “Will to Do Good”, which is recorded in the “Gospel of Matthew” in the holy Bible “Do not think that I came to abolish the Law or the Prophets; I did not come to abolish, but to fulfill. For truly I say to you, until heaven and earth pass away, not the smallest letter or stroke shall pass away from the “Law”, until all is accomplished [Matthew 5.17,18]. “Do not think that I came to bring peace on the earth; I did not come to bring peace, but a sword. For I came to set a man against his father, and a daughter against her mother, and a daughter-in-law against her mother-in-law, and a man’s enemies will be the members of his household. He who loves father or mother more than Me is not worthy of me; and he who loves son or daughter more than me is not worthy of me. [Matthew 10.32,33,34,35,36,37]. According to Holy Bible, Prophet ELIJAH, the Tishbite, was taken up in a whirlwind to Heaven in a chariot of Fire and Horses of Fire as seen and witnessed by the Prophet ELISHA [2 Kings 2.1,11,12], and the Holy Bible has clearly quoted Elisha many times as the “MAN OF GOD” [2 Kings Chapter 4.7,16,21,22,25,27,40,42; Chapter 5.8,14,15; Chapter 6.9,10,15; Chapter 7.18,19; Chapter 8.7,8,11; Chapter 13.19], and addressed by the Kings of Israel as the “Father” like written in this verse “Then the King of Israel, when he saw them, said to Elisha, My Father, shall I kill them? Shall I kill them?” [2 Kings 6.21]. Prophet Elisha was bestowed upon him the double portion of Elijah’s spirit when Elijah was taken up to the Heavens in a whirlwind of fire [2 Kings 2.9,10,15] and when this happened Elisha said, these important words which have codified meaning, “My Father, my Father, the chariots of Israel and its horsemen” [2 Kings 2.12], because Elisha earlier said codified important words to ELIJAH, in 3 verses “As the lord lives, and as you yourself live, I will not leave you” [2 Kings 2.2,4,6] and the same words “As the lord lives, and as you yourself live, I will not leave you” were repeated later on by the mother of a lad, for the “Man of God” Elisha himself [2 Kings 4.30]. Because of this above mentioned miracle which is stated in the holy Bible, the children of Abraham, belonging to the three main faiths of this world [Jewish, Christian, Muslim] started to venerate the bones and other relics belonging to their “‘Great Ones” [Seers, Prophets, Saints, etc.] and their grave sites became the “Holy Places” as well as the “Places of Pilgrimage” and “Veneration” a custom which is very much carried on faithfully by their descendants till now. According to holy Bible, the “Man of God” Elisha, just like Jesus Christ, also brought back a “dead lad” to life, as clearly narrated in 2 Kings chapter 4 verses 32 to 37. It states: “When ELISHA came into the house, behold the lad was dead and laid on his bed. So he entered and shut the door behind them both, and prayed to the Lord. And he went up and lay on the child, and put his mouth on his mouth, and his eyes on his eyes and his hands on his hands, and he stretched himself on him; and the flesh of the child became warm. Then he returned and walked in the house once back and forth, and went up and stretched himself on him, and the lad sneezed seven times and the lad opened his eyes. And he called Gehazi and said, “Call this Shunammite,” So he called her, and when she came in to him, he said “Take up your son.” Then she went in and fell at his feet and bowed herself to the ground, and she took up her son and went out. [2 Kings chapter 4 verses 32 to 37]. The “Man of God” ELISHA also performed the miracle of food to feed the hungry, which was similarly performed later on by “Son of God”, Jesus Christ during his time. In 2 Kings Chapter 4 verses 42,43,44, it’s clearly written about this miracle in details, which state “Now a man came from Baalshalishah, and brought the “Man of God” bread of the first fruits, twenty loaves of barley and fresh ears of grain in his sack. And he said, “Give them to the people that they may eat.” And his attendant said “What shall I set this before a hundred men?” But he said, “Give them to the people that they may eat, for thus says the Lord, They shall eat and have some left over”. So he set it before them, and they ate and had some left over, according to the word of the Lord” [2 Kings Chapter 4 verses 42,43,44]. [Matthew 14 verses 15 to 21]. Jesus Christ was in close touch with ELIJAH, just like ELISHA was earlier in touch with ELIJAH and their meetings have been clearly stated in the Holy Bible, which was even witnessed by PETER, JAMES, and JOHN, his brother, as mentioned in these following verses “And six days later Jesus took with Him Peter, and James and John his brother, and brought them up to a high mountain by themselves. And He was transfigured before them; and His face shone like the sun, and His garments became as white as light. And behold, Moses and Elijah appeared to them, talking with him. And peter answered and said to Jesus, Lord, it is good for us to be here; if You wish, I will make three tabernacles here, one for you and one for Moses and one for ELIJAH. While he was still speaking, behold, a bright cloud overshadowed them and behold a voice out of the cloud saying, ‘This is My beloved Son, with whom I am well pleased, hear Him!’ And when the disciples heard this they fell on their faces and were much afraid. And Jesus came to them and touched them and said, ‘Arise and do not be afraid’; And lifting up their eyes, they saw no one, except Jesus Himself alone [Matthew 17.1,2,3,4,5,6,7,8]. This same narrative of Jesus meeting Elijah has been repeated in the Gospel of Mark Chapter 9 verses 2,3,4,5,6,7,8 and in the Gospel of Luke Chapter 9 verses 28 to 37. Just like Prophet ELIJAH was a forerunner before PROPHET ELISHA, “The Man Of God”, similar information is clearly mentioned in the Gospel of Luke about the spirit of ELIJAH incarnating as “John the Baptist” before the incarnation of the spirit of “SON OF GOD” to be incarnated as Lord Jesus Christ, as written in this following verse of Holy Bible, “The angel said to him, “Do not be afraid Zacharias, for your petition has been heard and your wife Elizabeth will bear you a son, and you will give him the name John. And it is he who will go as a forerunner before Him in the spirit and power of Elijah, to turn the hearts of the Fathers back to the children, and the disobedient to the attitude of the righteous, so as to make ready a people prepared for the Lord’ [Luke 1.13,17]. The “Man of God” Prophet ELISHA’S Spirit was upon Jesus Christ when crucified upon the cross about the 9th hour, Jesus cried out with a loud voice, “ELI, ELI, LAMA SABACHTHANI”, meaning “My Lord, My Lord, why have you forsaken Me”? And some of those who were standing there, when they heard it, began saying, “This man is calling for ELIJAH”. But the rest of them said. “Let us see whether Elijah will come to save him”. And Jesus cried out again with a loud voice, and yielded up His spirit [Matthews 27.46,47,49,50]. One thing most people forget to understand that according to the Holy Gospel of Matthew, when Jesus was “born in Bethlehem of Judea in the days of Herod the king, behold Magi [Practitioners of Magic] from the East arrived in Jerusalem, saying Where is HE who has been born King of the Jews? For we saw His star in the East and have come to worship him. Then Herod secretly called the Magi and ascertained from them the time the star appeared and he sent them to Bethlehem and said, Go and make careful search for the Child, and when you have found Him, report to me that I too may come and worship Him. And having heard the king, they went their way and lo, the star which they had seen in the East went on before them, until it came and stood over where the Child was and when they saw the star they rejoiced exceedingly with great joy. And they came into the house and saw the Child with Mary His mother and they fell down and worshiped Him and opening their treasures they presented to Him gifts of Gold, Frankincense and Myrrh and having been warned by God in a dream not to return to Herod, they departed for their own country by another way” [Matthew 1.1,2. 2.7,8,9,10,11,12]; and this important passage explains the reverence of the Great Magicians of that time for the “SON OF GOD” just like they had reverence for another “SON OF GOD” in earlier times known as the Great Preacher, King Solomon, son of King David [1 Chronicles 17.13]. As regards to Jesus Christ being the “Son of Most High”, like King Solomon was in earlier times, the GOSPEL OF LUKE states ‘that an angel of “Lord” said to Mary, “Do not be afraid, Mary; for you have found favor with God. And behold, you will conceive in your womb and bear a son, and you shall name Him Jesus. He will be great and will be called the “Son of the Most High” and the “Lord God” will give Him the throne of His father David; and He will reign over the house of Jacob forever; and His kingdom will have no end”. [Luke 1.30,31,32,33]. And as in the group of 7 active planetary spirits, which govern the days and hours upon this planet earth, the planetary spirits of Saturn, ruled the day of “Sabbath” similarly as per the Holy Bible, it is clearly stated that Jesus Christ is the “Lord of the Sabbath” upon this planet earth, which is clearly mentioned in this following verse “For the Son of Man is Lord of the Sabbath”. [Matthew 12.8]. I will bring to everyone’s notice that regarding the concept of money the Great Preacher King Solomon clearly stated “He who loves money will not be satisfied with money, nor he who loves abundance with its income. This too is vanity”. There is a grievous evil which I have seen under the sun: riches being hoarded by their owner to his hurt. As he had come naked from his mother’s womb, so will he return as he came. He will take nothing from the fruit of his labor that he can carry in his hand. And this also is a grievous evil– exactly as a man is born, thus will he die. So what is the advantage to him who toils for the wind? [Preacher King Solomon – Ecclesiastes 5.10,13,15,16 -Holy Bible]. I will further quote the Great Preacher King Solomon who clearly stated “It is better to go to a house of mourning than to go to a house of feasting because that is the end of every man and the living takes it to heart. It is better to listen to the rebuke of a wise man than for one to listen to the song of fools. For wisdom is protection just as money is protection, but the advantage of knowledge is that wisdom preserves the lives of its possessors”. [Preacher King Solomon – Ecclesiastes 7.2,5,12 – Holy Bible]. The wise King Solomon further states that “I have seen everything during my lifetime of futility; there is a righteous man who perishes in his righteousness and there is a wicked man who prolongs his life in his wickedness. Do not be excessively righteous, and do not be overly wise. Why should you ruin yourself? Do not be excessively wicked and do not be a fool. Why should you die before your time? It is good that you grasp one thing and also not let go of the other, for the one who fears god comes forth with both of them. Wisdom strengthens a wise man more than ten rulers who are in a city. Indeed there is not a righteous man on earth who continually does good and who never sins.” [Preacher King Solomon – Ecclesiastes 7.15,16,17,28,19,20- Holy Bible]. Similarly Jesus Christ, also the “Son of God” said to his disciples “Behold, I send you out as sheep in the midst of wolves; therefore be shrewd as serpents and innocent as doves.” [Matthews 10.16]. The Preacher King Solomon also being a “Son of God” further stated “Because the sentence against an evil deed is not executed quickly therefore the hearts of the sons of men among them are given fully to do evil. Although a sinner does evil a hundred times and may lengthen his life, still I know that it will be well for those who fear God, who fear Him openly.” [Preacher King Solomon – Ecclesiastes 8.11,12]. In the end of this epilogue, I will quote a few important verses from the Holy Bible. Jesus Christ “Son of God” clearly said “He who receives a prophet in the name of a prophet shall receive a prophet’s reward; and he who receives a righteous man in the name of a righteous man shall receive a righteous man’s reward”. [Matthew 10.41]. “All things have been handed over to Me by My Father, and no one knows the Son, except the Father; nor does anyone know the Father, except the Son, and anyone to whom the Son wills to reveal Him.” [Matthew 11.27]. [Preacher King Solomon – Ecclesiastes 8.16,17].